By far the most important physical property of particulate samples is particle size. Particle size determinations is routinely carried out across a wide range of industries and is a critical parameter in the manufacture of pharmaceutical products. Particle size has a direct influence on material properties such as reactivity, dissolution rate, stability, flowability and handling. Particle size distribution should be known – and controlled! Ultimately, to protect patients, but also to avoid unpleasant surprises during manufacture. Measurement of particle size is not an exact technique and a “true” value does not exist. 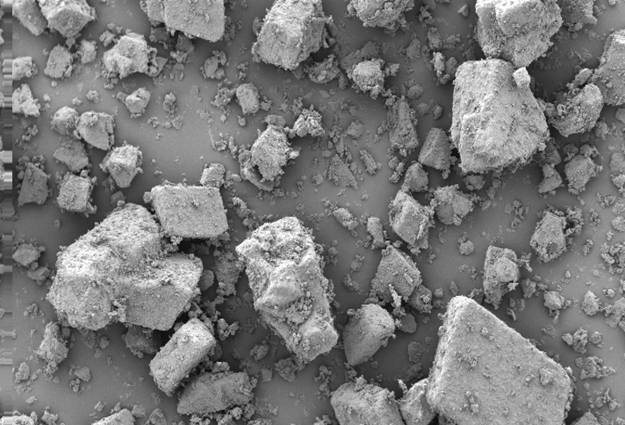 A range of analytical techniques is available for determination of particle size; these all have their strengths and weaknesses. In order to develop and validate analytical methods for determination of particle size, it is necessary to correlate several methods. In this course we will give you an overview of methods and regulatory requirements. Based on real life examples, we will go through commonly observed pitfalls in particle size determination that should avoided. Regulatory and quality personnel, who need to understand the development process. The primary purpose of this course is to review the various properties of powdered solids in relation to development and manufacture of the products of the pharmaceutical industry. In particular, experimental techniques and equipment for evaluating important properties of powders will be discussed and related to both the underlying principles and common industrial problems. This course identifies the studies needed to characterise the physico-chemical properties of drug substances in tablet development, with special focus on particle sizes. Linking material properties to formulation/processing behaviour, stability and bioavailability. 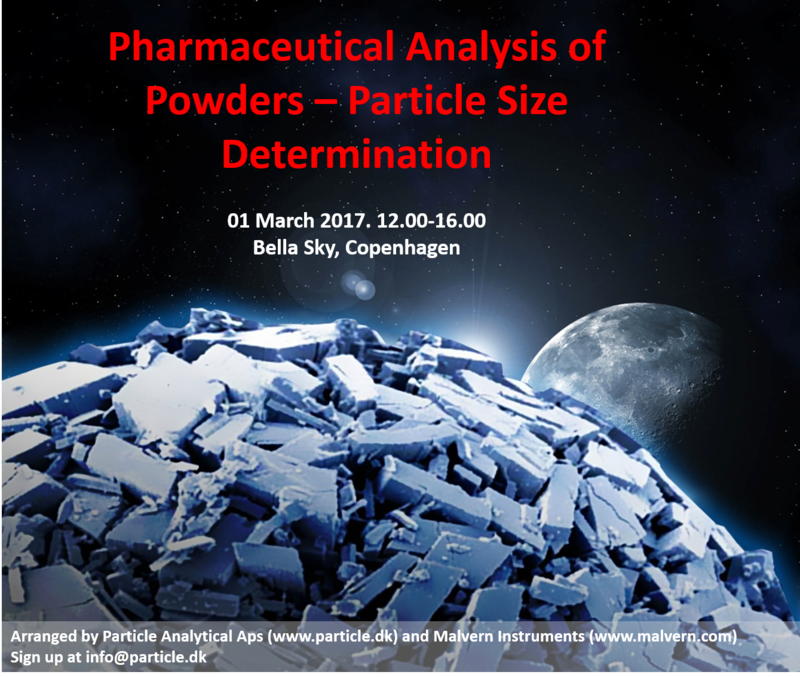 On completion of the course, you will have an overview of requirement for powder characterization – and you will be able to avoid most common pitfalls in determination of particle sizes. Participants will receive a certificate of participation. Sign up at info@particle.dk. Free of charge.